"Hello! 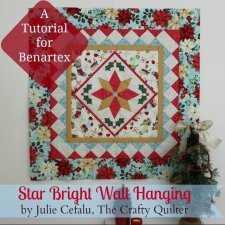 I'm Julie Cefalu, The Crafty Quilter, and I am so glad to be participating in the Christmas in July Blog Hop for Benartex! 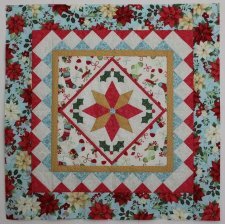 I designed this beautiful wall hanging using one of my favorite holiday fabric lines, Home for the Holidays by Michele D'Amore." 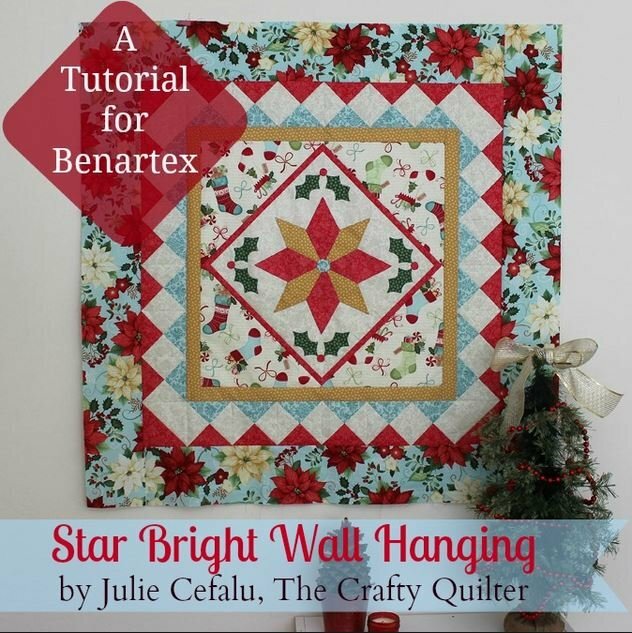 Also be sure to check out the other four wonderful Holiday projects from the blog hop, linked at the bottom of the tutorial for you! 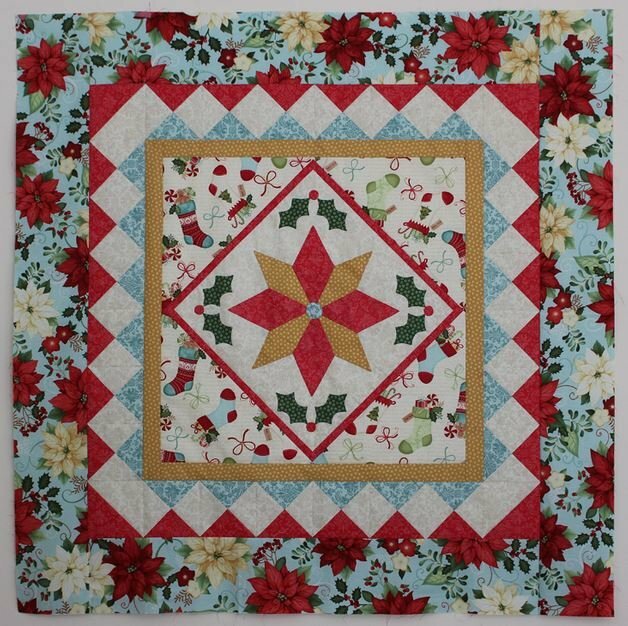 Projects include an advent calendar, a pillow, a table runner, and a gorgeous quilt! Enjoy! *Editor's Note: At the time of this writing, The Crafty Quilter's website is currently down for technical reasons.